Here at Community Honda of Orland Park we always look forward to hearing our customers from throughout the greater Chicago area tell us about the Honda models that have been a part of their personal family history. 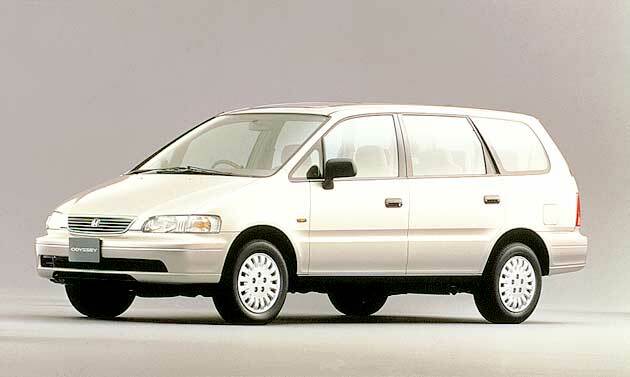 Whether it’s the 1975 Civic that your grandfather owned or the 1992 Accord sedan that was passed down from your mother to your sister, there’s a good chance that there’s a Honda car, truck, minivan, or SUV that either you or a family member has enjoyed owning. It makes sense, since Honda is not only the largest producer of motors in the world, but a company that consistently rises to meet the challenges of an ever changing industry. Leading the way with innovative automotive solutions, Honda continues to manufacture some of the most popular vehicles on the market. We know that all of you have your own stories about the Honda vehicles in your life, and we’d love to hear them, but we wonder how much you know about the rich history of the Honda Motor Company itself. It all started with a dream and was propelled by the passion of imaginative individuals who collectively met every challenge along the road, leading the way into the ever-evolving future of automotive excellence. The Honda Motor Company, Ltd. was established on September 24, 1948 by Soichiro Honda in Itaya-cho, Hamamatsu, Japan. His goal was to build the company into the world’s premier motorcycle manufacturer, and in pursuit of that goal, Honda released the Super Cub C100 in August 1958. The following June, Honda participated in the Isle of Man TT Race, and the company opened the Suzuka Factory in April 1960. Innovations such as the famous “chimney” motorcycle engine, the Dream D-Type motorcycle, and the development of the Honda 4-stroke engine were key to the early success of the company. It was in these early years that a philosophy to “always make your products friendly” became one of Honda’s core values. While the first American made Accord rolled out of the factory in 1982, Honda had already established its U.S. presence over 2 decades before. The subsidiary American Honda Motor Company, Inc. was launched in 1959 with headquarters located in Los Angeles. In 1960, their first full year of operation, Honda concentrated on marketing motorcycles primarily for west coast customers and in subsequent years spread east across the country. The “You Meet the Nicest People at Honda” advertising campaign of 1963 significantly boosted the brand’s image to the mainstream American market, but it wasn’t until 1970 that Honda began offering passenger cars in the U.S.
Honda began manufacturing motorcycles in America in 1979, and in 1982 became the first Japanese automaker to produce cars in the United States. Their first manufacturing plant was located in Marysville, Ohio, and over the course of the next decade they expanded their U.S. manufacturing operations. By 2010 Honda was operating 9 auto plants in 6 states along with 14 North American research and development facilities. Honda continues to have deep roots in America. In 1963, Honda produced its first automobile, the Honda T360, a small pickup truck for the Japanese market. It was followed four months later by the Honda S500, a two-door roadster. A two-door commercial van, the L700, was introduced in 1965, and by 1967 the company began producing mainstream automobiles with the Honda N360, a two- door hatchback. The Honda 1300, a four-door sedan powered by an air-cooled, four- cylinder gasoline engine was introduced in 1969. The N360 and the H1300 can be seen as the precursors to the Civic and the Accord, respectively. The original Civic was a subcompact that was released in 1972, while the first Accord was produced shortly after in 1976. Honda has relentlessly refined, re-engineered, and expanded their lineup over the years, always focusing on creating reliable, affordable vehicles that deliver excellent fuel economy. This formula has made Honda one of the world’s top automakers. Honda has always looked to the future, equipping their vehicles with the latest technologies, first as available options, then as standard features. 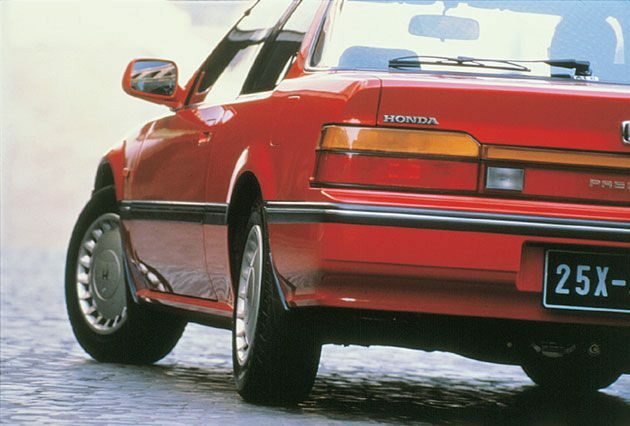 Systems such as anti-lock brakes, speed sensitive power steering, and multi-port fuel injection are just a few of the innovative technologies that Honda introduced in the early 1980s. This quest to incorporate the latest user-friendly vehicle tech and safety systems into vehicles that meet the needs of a wide range of drivers continues to be one of the company’s primary goals. When you’re driving in your new Honda, utilizing a navigation system that is voice controlled, or receiving text or voice messages through the revolutionary HondaLink interface, remember it’s all due to over 65 years of Honda pushing the envelope. Passion, creativity, the spirit of invention, and the power of dreams is what inspires the Honda Motor Company to be a leading force in the automotive industry. We’re proud to be a part of it all here at Community Honda of Orland Park, and we hope that you’ll stop by our Orland Park area Honda dealership and experience all that the new Honda lineup has to offer you today!